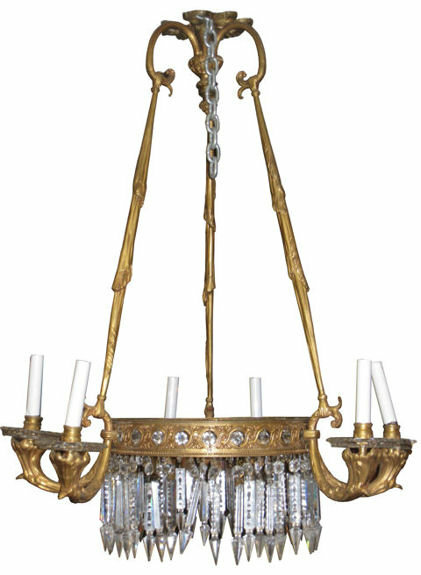 This nineteenth century bronze fixture in the neoclassical style features a reticulated central ring decorated with guilloche motif and crystal pendants, and six candle arms eminating from scrolling arms. 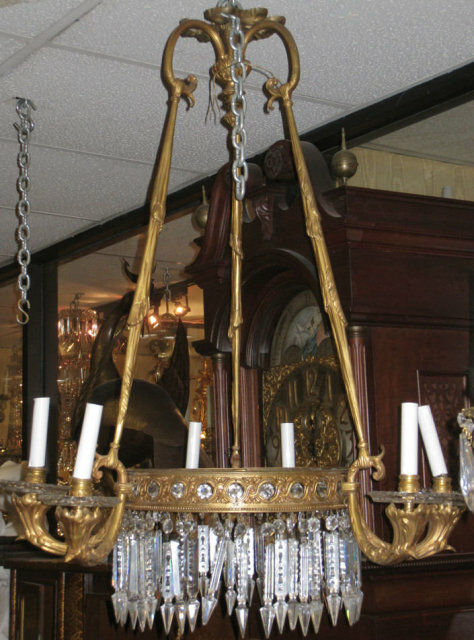 The fixture hangs from three drapery style supports eminating from a ceiling plate with ribbon motif. measures 37" tall and 28" across. It has new sockets, candle covers and wiring and is ready for use. 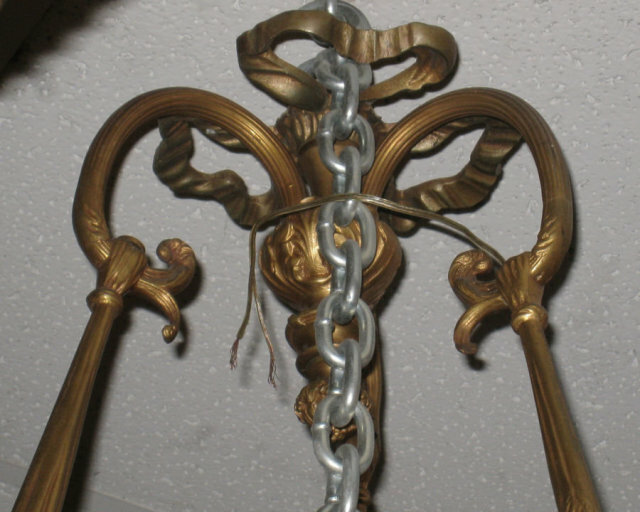 There are a few missing pendants which we will replace and install prior to shipment. 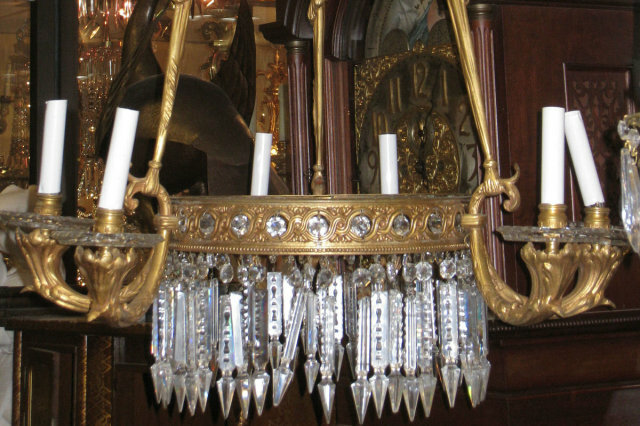 Items Similar To "Antique Classical French Louis XVI Style Chandelier"